The Los Angeles Lakers must have done something to anger the basketball Gods, because the injury bug has been absolutely cruel lately. They have lost LeBron James, Rajon Rondo, Kyle Kuzma and JaVale McGee, all players they can’t afford to lose, for extended stretches. Now, with Rondo and James both close to returning, Lonzo Ball has been lost to a sprained ankle just when he started to play some of the best basketball of his young career. While the Lakers emphasized bringing in multiple playmakers last summer, Ball’s injury leaves Rondo, who has only managed to play in 14 games this season due to injuries and suspension, as the team’s lone point guard. The Lakers have spent the last month dealing with having just one point guard while Rondo has recovered, and it’s not ideal. Ball has had to play major minutes while the team has been forced to turn to Lance Stephenson, Brandon Ingram, Josh Hart and even Svi Mykhailiuk to initiate the offense in stretches. In a tight playoff race, the Lakers may not be able to afford to continue doing that. Let’s take a look at who, aside from Rondo, can step into the point guard role while Ball is out. Alex Caruso: While the Lakers went into the season with only two true point guards, they have their de facto third-string initiator already in house with Alex Caruso currently on a two-way contract. 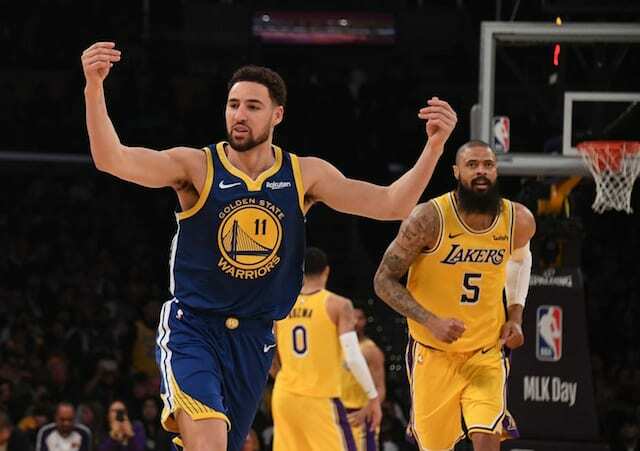 He has played 19 games this season for the South Bay Lakers in the G League and appeared in three games for the Lakers, the latest of which came Monday night against the Golden State Warriors. He was with the team last season as well and would be a simple plug-and-play solution at the one, even if he isn’t an ideal fit. Caruso has shown himself to be a tenacious defender and creative passer, but his outside shooting leaves a lot to be desired. He’s currently hitting just 31 percent from three for South Bay, a number which likely dips further in the NBA thanks to higher quality defense. 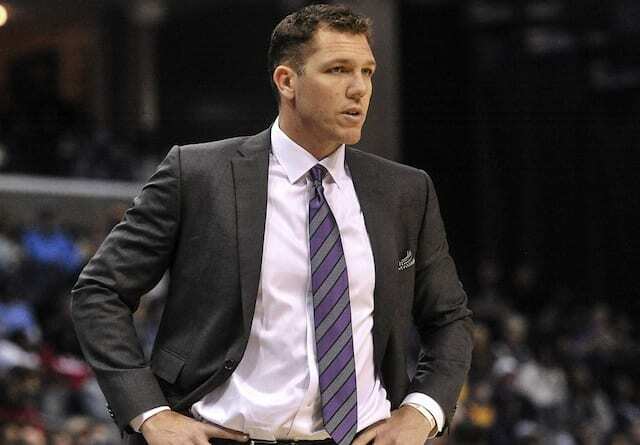 LeBron James: Assuming he is back to full health, the most likely scenario would be that head coach Luke Walton simply has James handle the ball. He rightly has the ball in his hands most of the time anyway and his basketball IQ and passing ability allow him to run the offense efficiently. 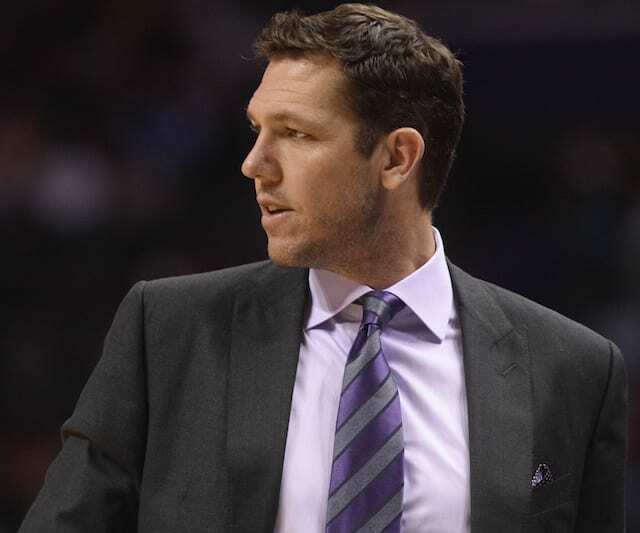 Walton could stagger his rotation in order to have Rondo or James on the floor at all times, which would answer the ball handling question for Los Angeles. The problem with relying on James to be the ball handler whenever Rondo is out is that it means asking a player like Stephenson, Hart or Kentavious Caldwell-Pope to defend opposing point guards. The Lakers have pulled this off recently, but Ball’s defense has given them a stopper at the one for the majority of the game. Rondo doesn’t have Ball’s abilities on that end, which means the Lakers will be at risk of getting lit up by quick guards for a full 48 minutes every game. Jeremy Lin: If the Lakers decide that they need to make a trade to bring in some help, they could do worse than Jeremy Lin. The veteran is in the final year of his contract and currently playing behind Trae Young for the Atlanta Hawks. With the youth movement in full swing, Lin is considered to be one of the players most likely to be traded before the Feb. 7 deadline. A Caldwell-Pope for Lin swap works financially, but the question is whether the Lakers would consider parting ways with one of their few 3-and-D players in order to fill a temporary hole at point guard. T.J. McConnell: The Philadelphia 76ers have resisted trading T.J. McConnell, who is one of the league’s better backup point guards, for some time. 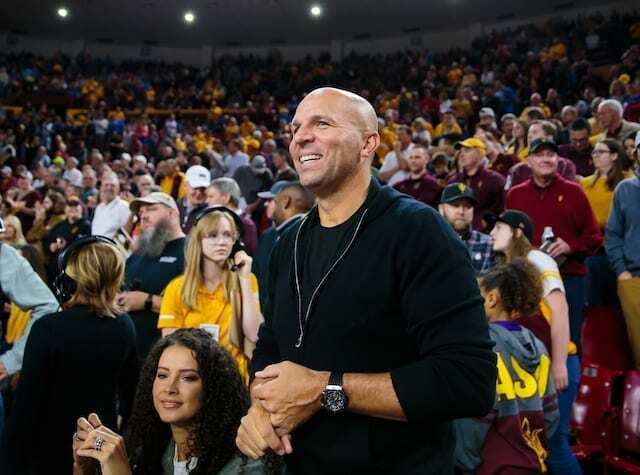 They are rumored to have turned down an offer from the Phoenix Suns earlier in the season, but could the Lakers come up with a package that would make them reconsider? McConnell has an expiring contract worth $1.6 million so he wouldn’t impact the Lakers’ cap room moving forward and his solid defending and low turnover rate would make him a solid addition if the Sixers can be persuaded to make a move. Derrick Rose: With the Minnesota Timberwolves sliding downward in the Western Conference and Tom Thibodeau’s ouster seemingly ending the ‘Timberbulls’ era, some have speculated that the team will begin making deals with an eye towards the future. 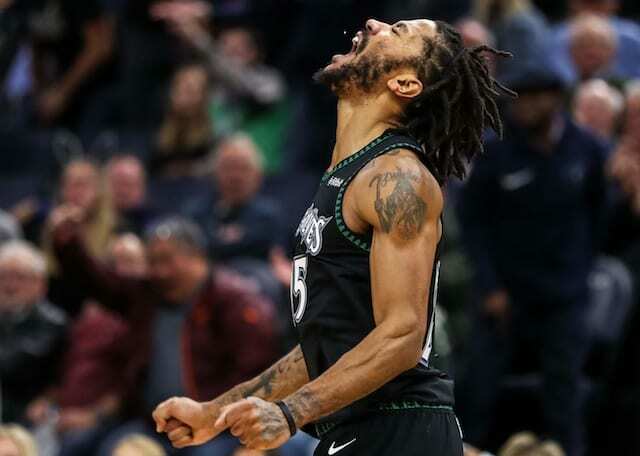 With Tyus Jones playing well as the team’s backup point guard, Derrick Rose has spent much of the season playing shooting guard for the Wolves. However, as they slip in the standings there is more incentive to feed minutes to rookie Josh Okogie, squeezing Rose, who has had a resurgent season at age 30. 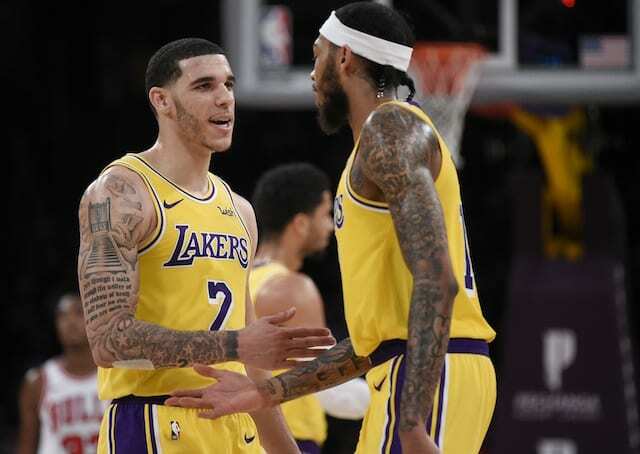 Averaging nearly 19 points on a likely unsustainable 45 percent shooting from three, Rose would give the Lakers some much-needed scoring punch and spacing. His expiring contract would keep the cap clear moving forward, but given his quality this season, the Wolves asking price will likely be high.